Recently, truthful spectrum auctions have been extensively studied to improve spectrum utilization. Furthermore, privacy preservation in truthful spectrum auctions has also been taken into account. However, existing work mainly focuses on privacy-preserving homogenous spectrum auctions, while the case of heterogeneous spectrum auctions is ignored. In this paper, we propose PATH, a privacy-preserving auction for single-sided heterogeneous spectrum allocations. Through organically combining three security techniques: homomorphic encryption, secret sharing and garbled circuit, PATH reveals nothing about buyers’ bids and identities beyond the auction outcome to any participant party. Specifically, PATH not only maintains the properties of truthfulness and spectrum reuse of the underlining auction mechanism TAMES, but also implements the first provably secure solution for single-sided heterogeneous spectrum auctions. 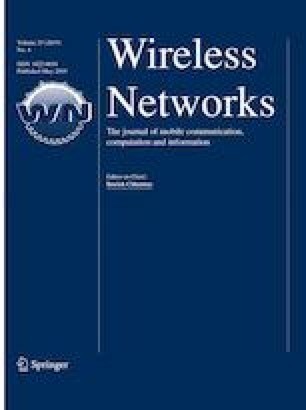 Finally, experimental results demonstrate that PATH incurs only limited computation and communication overhead, and it is feasible for large-scale applications. The work by Zhili Chen and Ruihong Che is supported by the National Natural Science Foundation of China (NSFC) under Grant No. 61572031; the work by Hong Zhong is supported by the NSFC under Grant No. 61572001; the work by Miaomiao Tian is supported by the NSFC under Grant No. 61502443; and the work by Jie Cui is supported by the NSFC under Grant No. 61502008.